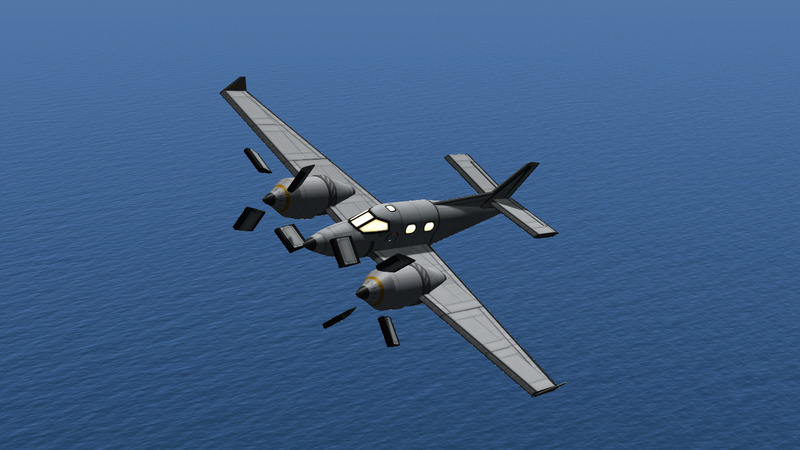 A half-hearted replica of the lovely Beechcraft C90GTx. 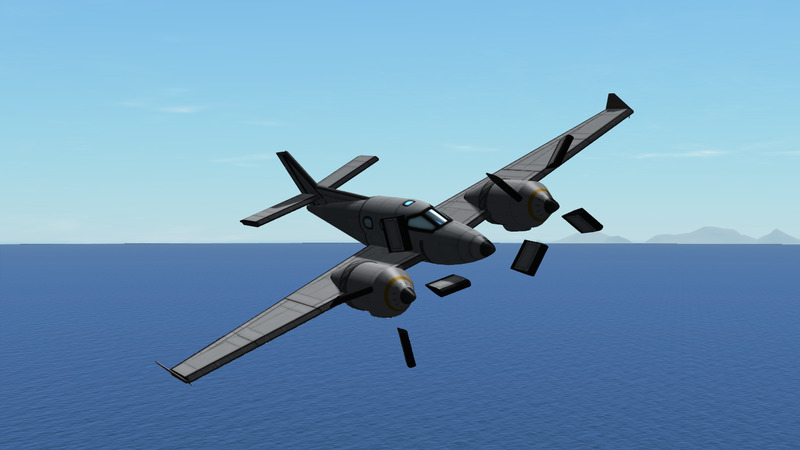 The fuselage is a little sloppy but I think it turned out alright. This aircraft is powered by the same engines that I used on my ‘Sparrow’ aircraft using only 11 reaction wheels each, furthering my experimentation with these hyper-compact designs. Their size allows them to be applied much more easily to aircraft such as this. Top speed is a respectable 138m/s. Before flying, there is a probe core just behind the nose cone at the front of the aicraft. Right click it and select ‘Control From Here’. 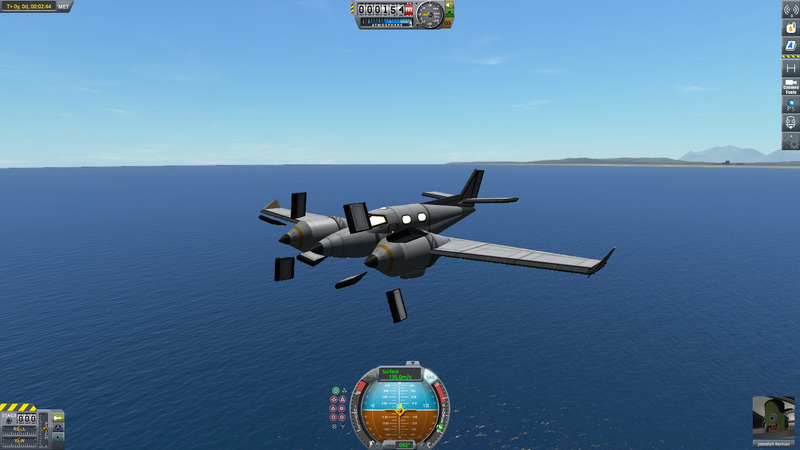 To fly, press ‘1’ to detach the propellers and then engage brakes. Switch to the left propeller assembly and hold ‘alt’ and ‘e’. Then switch to the right propeller and hold ‘alt’ and ‘q’. Only put the engines to half power otherwise the props will smack into the runway. Then disengage the brakes and the aircraft should begin moving and rise into the air without any input. Once in the air, press ‘2’ to change the pitch of the propellers, allowing the aircraft to reach it’s top speed. A stock aircraft called Beechcraft C90. Built with 94 of the finest parts, its root part is Mark1Cockpit.